Anyway I saw this post and wanted to try it out immediately so I whipped out these two nail polishes and went to town. Closeups under the cut. This is a great look for fall! It reminds me of a grandpa sweater but much more wearable and versatile. Cynthia by Zoya. I got this on sale for $6 minus another 20% at Ulta a few months ago, it's a perfect fall color. 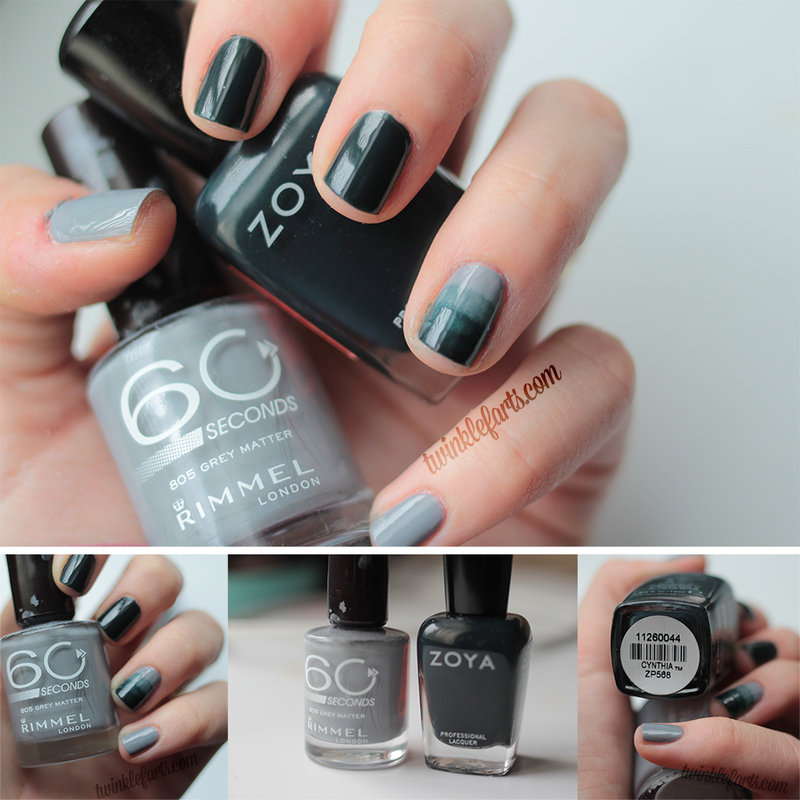 805 Grey Matter by Rimmel London. I looooove this gray. It's so creamy & opaque. I also used Seche Clear for my clear polish and my e.l.f. professional eye liner brush to mix and paint the ombre effect. Omgosh, this is so great! I get flustered with the sponge method, lol. Then again, I'm not a patient one! Good luck :) Feel free to reply with what you come up with later, I'd love to see it! Can I just tell you how much I love your blog name :D ?